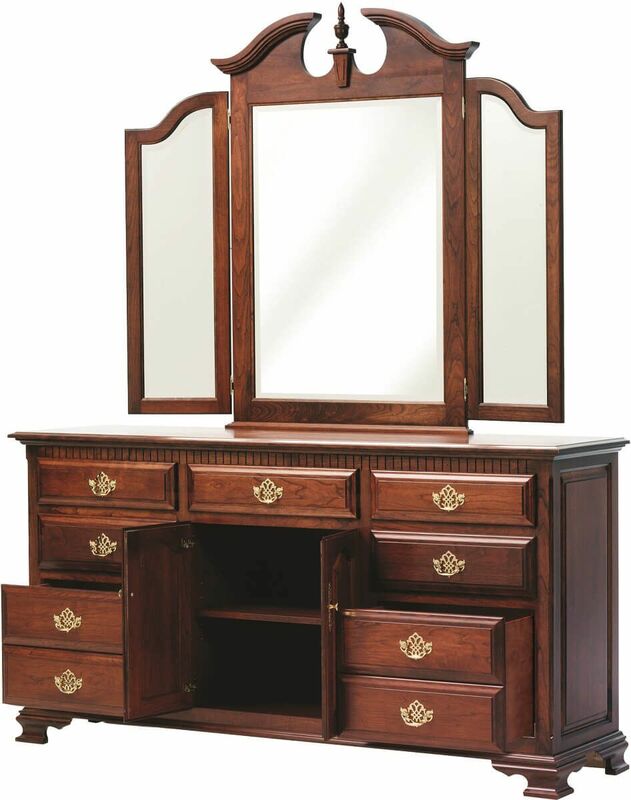 Defining characteristics of our Elizabeth's Tradition Dresser include an ornate tri-fold beleved mirror, raised panel drawer fronts, and bracket feet. 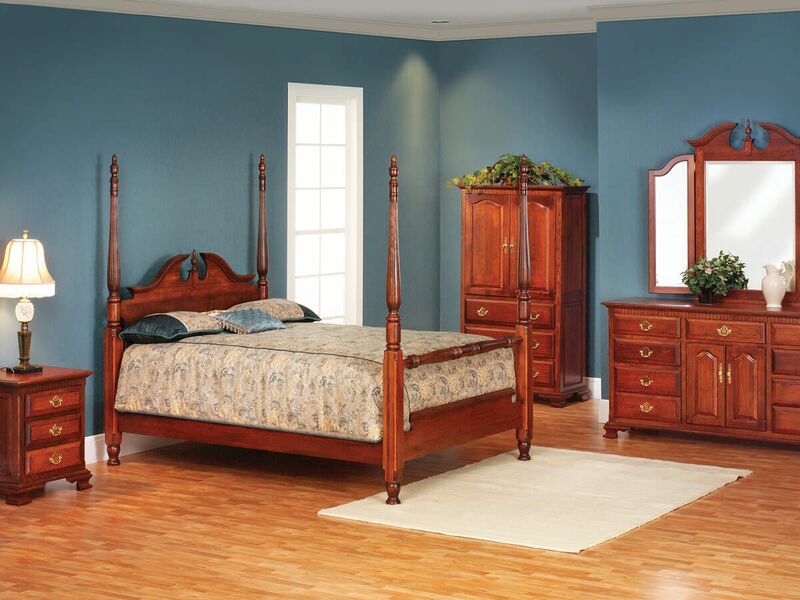 The Elizabeth's Tradition Dresser with Mirror boasts solid wood construction by our expert Amish craftsmen. Full extension, soft close slides ensure the drawers of your mirror dresser extend fully and provide a controlled closure. 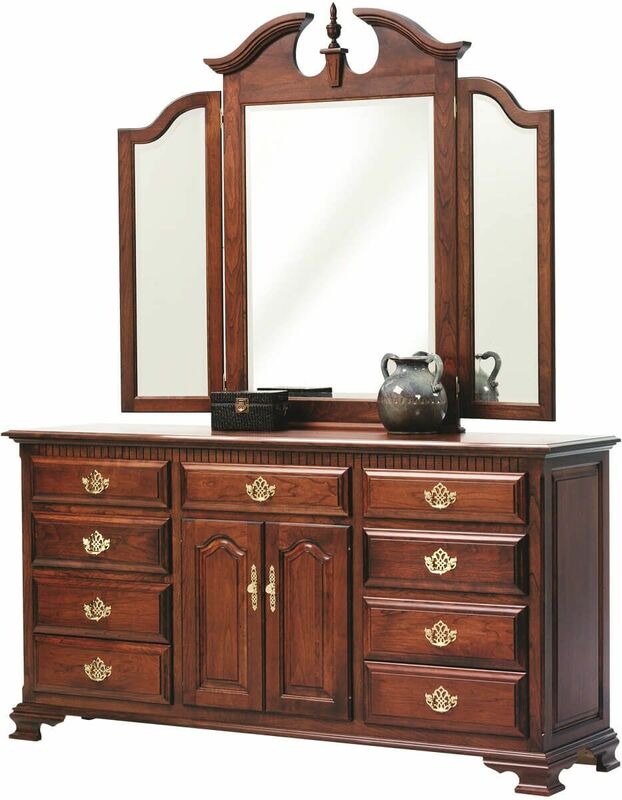 Indicate your custom specifications for the Elizabeth's Tradition Dresser with Mirror using the options menu. 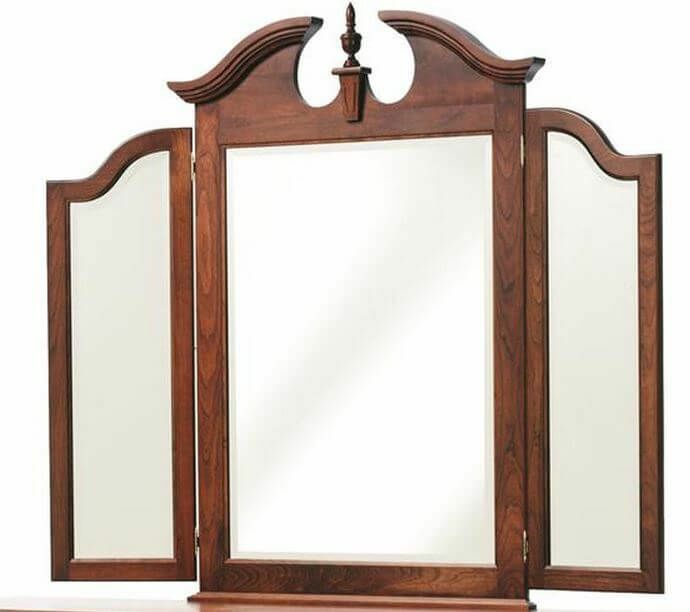 To obtain the pictured look on your mirror dresser, choose Cherry with our Christmas Cloves finish before adding to cart.